We feel incredibly blessed to have a meaningful ongoing relational and professional partnership with the excellent team at Stewardship UK. Below is a short vision video Gordon had the privilege of being involved in, recorded in October 2018, which explains the key role that Stewardship UK have played in helping to see Hope Church Sittingbourne established. 2018 has been an amazing year. I thought I'd share a few thoughts. If you're into that sort of thing read on. If not just read the bottom couple of bits! We've obviously had quite a lot of change as a family this last year. Last December we were literally walking the streets of Sittingbourne with a group of 23 Relational Mission Kent church leaders asking God if He was calling us to do something here. It looked pragmatically good on paper but we still wanted prophetic confirmation as a family... Then God spoke, He is faithful. Since then our lives have hit overdrive as we've each fallen in line with the call and reoriented everything possible to integrate our hands and hearts to our new home. One of the biggest personal challenges in this journey of change was transitioning to self-employment. All my working life I've been PAYE. I've known month to month exactly what will be coming in, but now there is uncertainty, no guarantees. It's been a real emotional journey to be honest. This change was in and amongst renegotiating our mortgage to become landlords by renting out our family home and moving our family to rented accommodation in Sittingbourne. Each of our three children secured school places (just one appeal required) and they've each gone on to make Sittingbourne their own personal home. 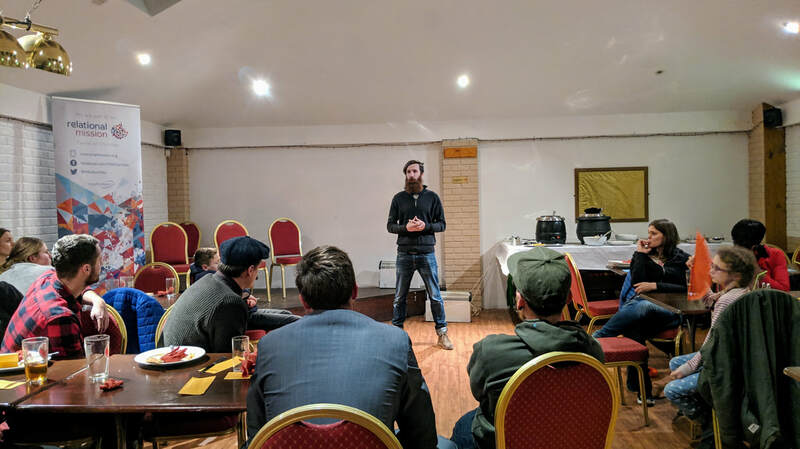 I started Sittingbourne Run Club as a micro-business and have coached in excess of 50 clients since May 2018, it's been both fun and necessary. Natalie took on a great teaching assistants role in the nurture department of the secondary school our two boys attend. I'm also serving as a Governor there, offering a modicum of insight to their finance and premises management. I also get to review the 'PE' & 'Religion, Ethics & British values' departments - A great fit! As a family we've welcomed over 100 people into our new home (it continues to be a massive joy!) as we've looked to gather people towards the vision of establishing a thriving New Testament church here in Sittingbourne. We've made many new friends along the way and it's starting to finally feel like all these seismic changes are settling down and our lives are finding a new 'normal' (whatever that is!). It's not all been plain sailing tho, far from it. Social media only gets to see the very best moments from our glossy Watson highlight reel. The darkest depths of nagging doubts and crippling fear are kept just for us to enjoy with one another! Along the way there have been disappointments, disagreements, tears and frustrated moments. Each of these situations presenting an opportunity to question our deepest motives and intentionally seek reconciliation and forgiveness either from one another or ourselves. Subsequently unity comes and a new depth of relationship, so we give thanks for the challenges and who they invite us to become - God remains faithful throughout, even when it's depressing! We left Medway as a family of 5 (plus Merlin the dog) with lots of friends championing from afar but none called to physically journey the road to Sittingbourne with us, sad times! God in His faithfulness has provided us with new relationships for this new call. New friends for the journey to walk with and serve alongside us. New friends to laugh, cry and dream with. There is something beautiful emerging across our new Hope Church Sittingbourne community. There is an authentic intimacy inherent in its smallness - It's almost as if where two or three are gathered there Jesus is, right in the middle of it all, weaving us all together, breathing in light, life and love! He is faithful.. Despite all of the upheaval and uncertainty we've experienced incredible provision in multiple ways. Financially our outgoings have increased significantly while our income has significantly decreased, yet month to month we've had just what we need to make everything work. We've had friends local and from afar make the decision to support us financially as missionaries - Sacrificially giving of their own hard earned money so that we can release as much of our time as possible to practically preach and demonstrate the Gospel and see Hope Church Sittingbourne established - What a blessing to be in meaningful Gospel partnership together! God truly has been faithful. Just yesterday I received a cheque for £££s from HMRC as a tax rebate. Just at a time when without that money we would have dived into the red again. The stress & uncertainty of going self-employed paid off - Blessing follows obedience - God pays for everything He orders! We've been challenged probably more than ever before and blessed in ways we couldn't have possibly imagined. I think it's fair to say we go into this festive holiday period both tired and hopeful. It's been a frantic 8 months since our move as we've laboured together with Him and also waited for the dust to settle on all of our transitions. It feels like we now have an opportune moment to pause and breathe in this beautiful new landscape He has set before us - God has been faithful. We can physically see it and we each joyfully testify to it! I'm looking forward to spending some quality time this Christmas with my wife, our children and some of our friends and family. We're privileged to have a clear 10 days over Christmas and New Year with few distractions. We will unashamedly prioritise and invest in one another, all the while remembering the One who called our family here for His purposes. If you've been praying for us then thank you for your thoughts and care. It has been a lonely run at times. Each occasional message, text, call and email offering encouragement and support is a genuine lifeline during moments when things seem overwhelmingly impossible. Through it all God has remained faithful. We wish you and yours a most amazing Christmas and hope that your 2019 is one of personal growth and encouragement. May peace, joy, hope and love be with you - God is faithful. One of the things we love as a church is the power of the prophetic to bring a sense of clarity and direction. On Friday, 29th June 2018 at the Relational Mission #ENOUGH prayer event we (Hope Church Sittingbourne) received many postcards (well over 100!!) from across the nations filled with personal encouragements, biblical verses, prayers and prophetic pictures/words. One word in particular grabbed the hearts and imagination of our embryonic community of Hope. God wants us to “be more like a barge than a speedboat”. 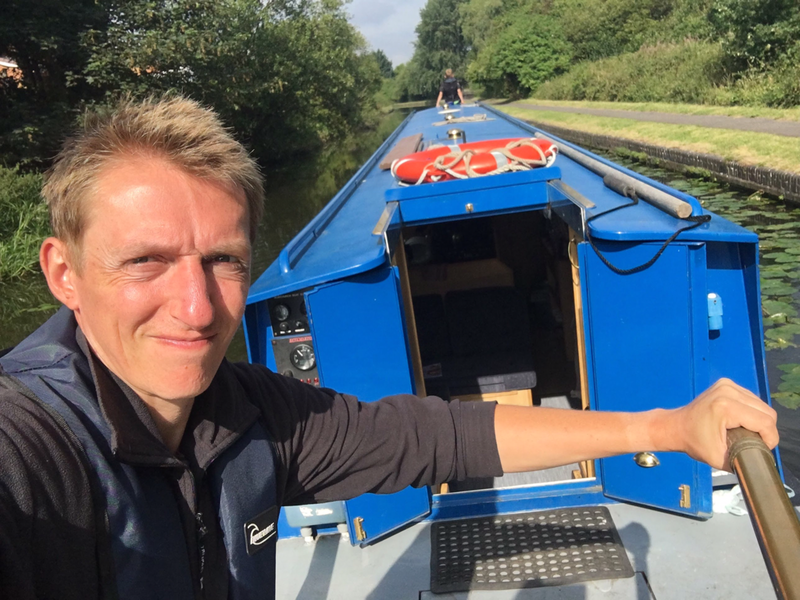 For those of you that know me well (Gordon) will understand that I am someone that tends to operate more like a speedboat than a barge - I can very quickly get hold of an idea and speed off in that general direction, going from zero to 100mph in seconds, sometimes (maybe often!?!) leaving others behind wondering where that sudden shift of momentum came from. So to receive a word that encourages me to operate contrary to my default setting, becoming a bit more dependent on those around me and to lean into God, well, it’s quite a powerful word, and probably the sort of word that God would give to a guy wired like me in a season like the one we’ve recently entered into. But not that this word revolves solely around me, no, far from it! This word was given to us as a community to shape and mould the way we function and relate, and I love that about the prophetic, it has the power, when heard with ears of faith, to bring clarity and direction to a whole people collectively as well as individually. Of course every picture can be pushed to the n’th degree but the amazing thing about this image was that our family went on a barge holiday in the summer of 2016. We learnt so much about one another and about the journey that this is a picture that we’ve been each able to own quite easily as a family as it speaks directly to all of us through our lived experience. 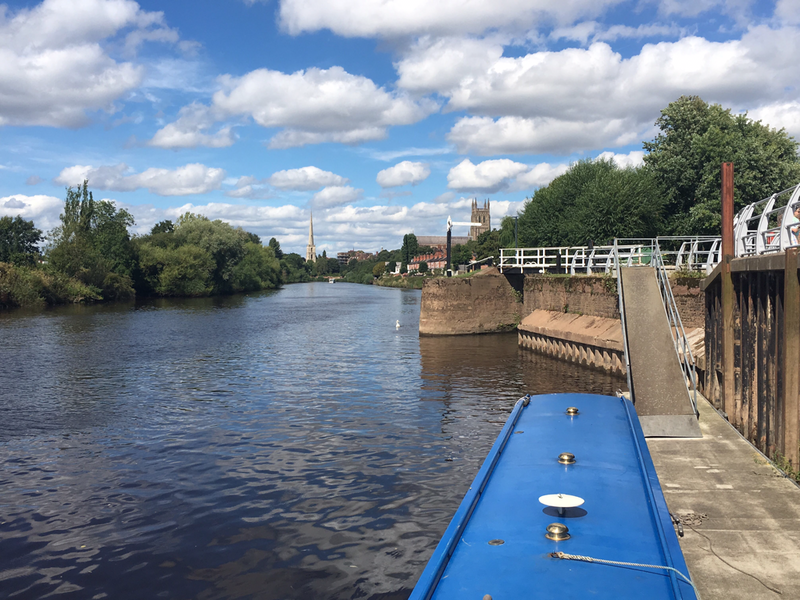 On-and-off-and-on again - With a barge people can get on-and-off-and-on again - For us as a churchplant we’re to be happy and comfortable with the reality that many people are going to pop along for a season, maybe just once, maybe on and off. They may disappear for a while, then they may reappear. When God speaks a word it is often to bring comfort and confidence so that when things get disheartening you have something to hold onto. We’ve had friends come and friends go, some have stuck, some haven’t, some have been dependable and consistent, others less-so, but when God speaks a word like this one it radically changes your perspective, away from yourselves and onto Him. Not everyone gets on the barge - With a barge sometimes people just walk along the side having a chat about the next section, but they never get on-board - We’ve made a number of great local friends who we so wish would personally catch the vision of seeing a thriving New Testament church planted in Sittingbourne, give their lives to that vision and come join us, but they’re about other business. It’s a fact that church planting isn’t for everyone! It requires commitment, grit and comes at high personal cost. Without the leading of Gods Holy Spirit I would advise anyone against church planting!!! We’ve loved making new friends who have helped us get our bearings in a strange new land (it’s only 15 miles up the road to be honest!) and the barge picture helps us have a realistic expectation that life on the barge isn’t intended for everyone, and that’s ok! Everyone gets to play! - On a barge everyone usually gets to have a go at everything - There are no specialists on the barge. There’s no platform. No crowd to try and impress. There are times when different people get to be Captain and steer the boat. 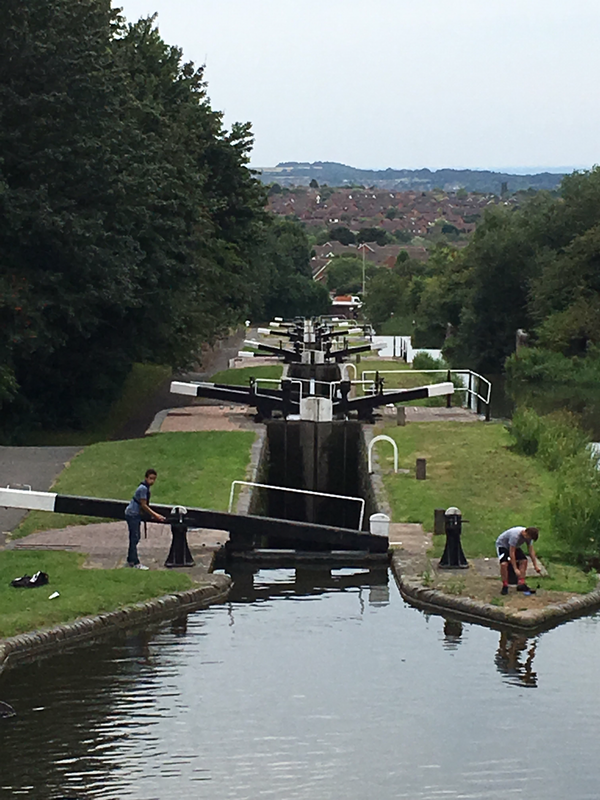 Everyone gets off and helps when you approach the locks or when you need to moor up somewhere to sleep or go wandering (either on adventure, to the shops, or the toilet, usually all three!) The spirit of collaboration and everyone getting to play a part is strong on the barge. There isn’t much room for passengers that aren’t prepared to make a cup of tea, play a board game or lend a hand to a shipmate in need of help - On the barge we all pull together in unity! Enjoy the journey - On a barge there are occasional times when you have to just get your head down and make it to the next checkpoint, but the main aim of the barge is not to zoom from A-to-B (like the speedboat! ), but rather to enjoy the journey from A-to-B as much as the final destination itself. There are unexpected wonders and experiences to be encountered if you will only intentionally slow down and embrace the journey of the barge. There are times when you pull over and enjoy a walk all together. 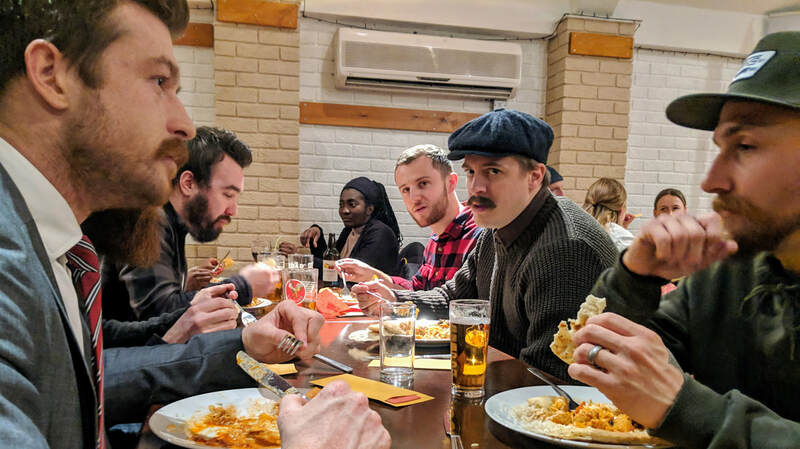 There are times when you all get off and go to the pub together. 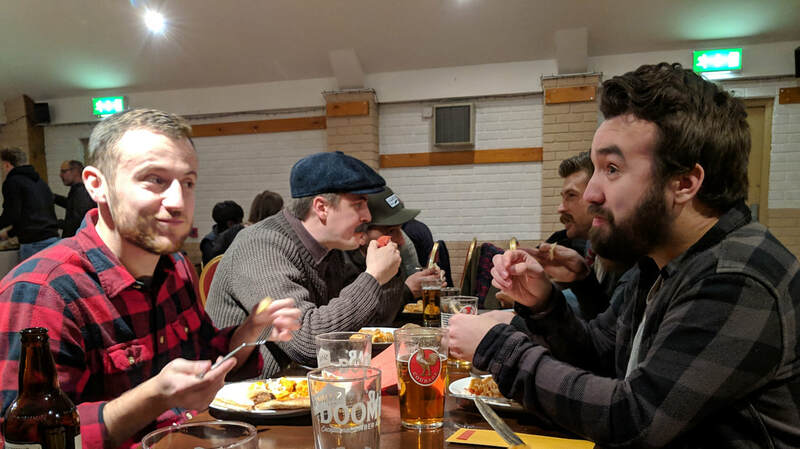 There are times when you all settle down and tell stories or sing songs together - No one gets left behind and you all pull in the same direction, even when youre feeling tired and grumpy and haven’t had much rest - The best atmosphere to have on a barge is one of fun and friendship. Enjoy one another & enjoy Jesus - The whole point of being on a barge holiday is to enjoy one another’s company, more-so than even the surroundings. You literally live every moment of every day in each other’s pockets. It’s intimate, it’s intense, there’s nowhere to hide and with Jesus in the centre it’s formative and transformational. As a community we’re to make sure we dont default to just thinking of church as an event that we commit to on a Sunday, but that we embrace the 24/7 nature of barge-like discipleship. There is such joy to be had in being part of a covenant community. A people that pledge to live their lives in union and communion with one another in close proximity to the context that Jesus has planted them and in drawing the dots up between their daily lives, experience of faith and the way these two realities intersect to the glory of God. We’ve only lived with this prophetic word of the barge for a few months but it’s already helped bring a real depth of clarity and direction to Hope Church Sittingbourne that has shaped and formed us in ways that have made us a wider, broader and more authentic New Testament community than if I’d have shot off after my own ideas of how things might or should look with Hope Church Sittingbourne (like a speedboat!). I cant wait to look back in years to come and see the fruit of our trusting God at His prophetic promises to us as a community as we believe Him towards being more like a barge than a speedboat. 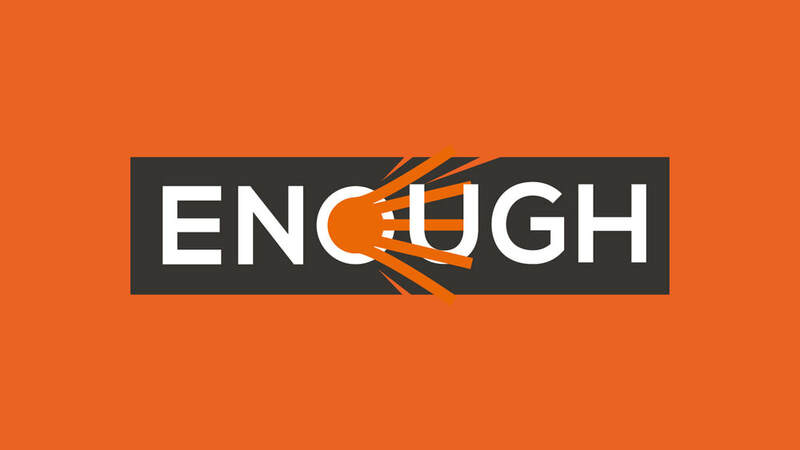 ENOUGH is an initiative that will inspire and resource local churches and individuals to increase their desire for God through worship and prayer, and to engage in prayer with vibrant emerging apostolic vision before them, in order to see lives and situations transformed and a broken world healed. This is achieved through ENOUGH hubs. An ENOUGH hub is a group of churches that gather for a half night of prayer at the same time as all the other hubs around the world. This is typically 3 times a year. Watch this video to get a flavour for what an ENOUGH hub looks like. This ENOUGH we will be gathering at Headcorn Village Hall (TN27 9NR) with our friends from The Vine Maidstone, New Life Church Tunbridge Wells, Cornerstone City Church and Church on the Weald. 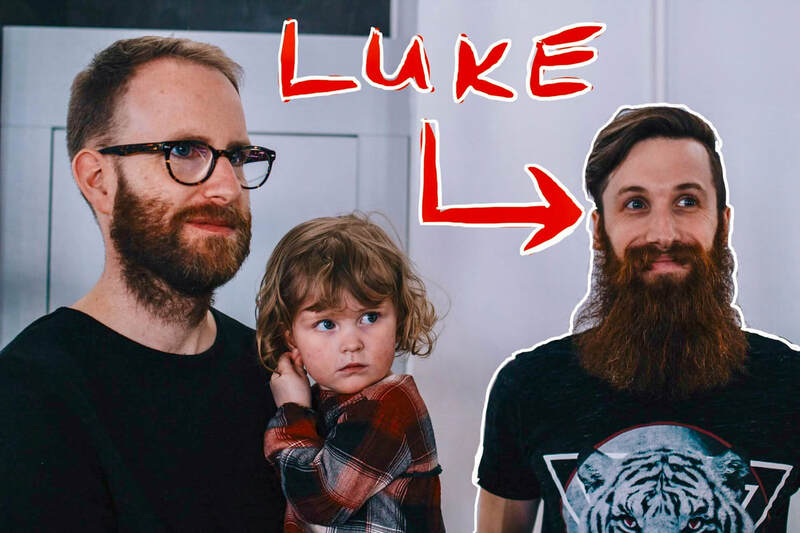 We’re really excited to have our good friend Luke Morrison from Risen Light Church Helsinki with us for a few days in November. Luke & Alison Morrison have been living in Helsinki giving their all to pioneer the Risen Light Church Helsinki plant since 2015 along with Kevin & Lydia Jones who moved in 2013. Risen Light Church Helsinki is coming into a real season of fruitfulness having gone through ups and downs along their pioneering journey. 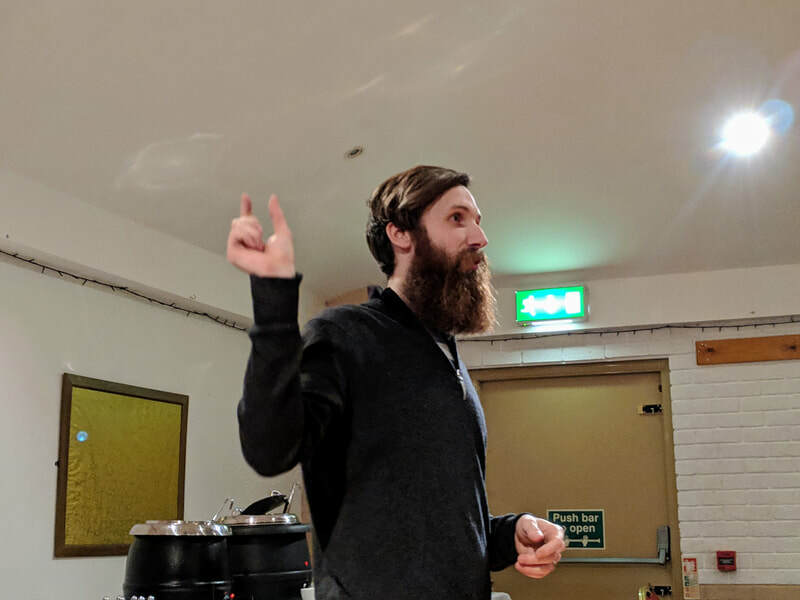 We’ll be gathering for An Evening with Luke at the Ypres Tavern on Sittingbourne High Street for a sit down meal and drinks in their private function room. 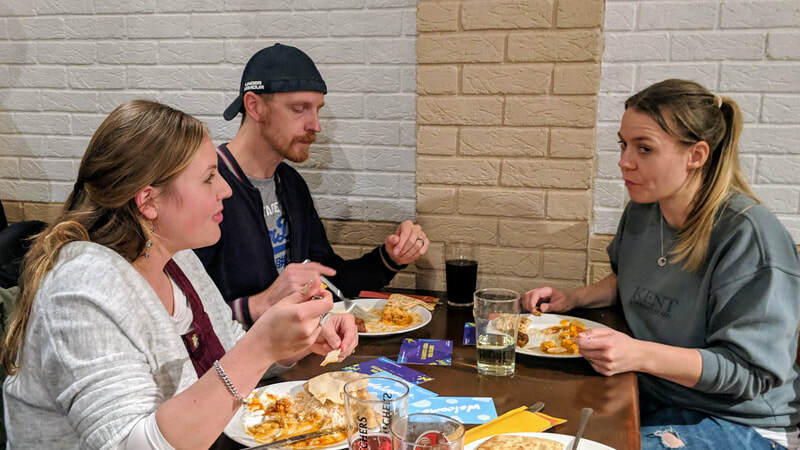 Once we’ve finished our food we’ll have time to hear some of Lukes stories and perspectives on their Helsinki adventure and living life on a mission, in particular highlighting some of the realities of pioneering both when it’s joyous and maybe when it's not so! We'll be having curry with a choice of two curries (one mild, one hot) served with rice, poppadum and naan bread. The cost is £7.50 per person plus drinks, which must be bought from the bar (you can't bring your own). Booking is essential beforehand using the link below so we can let the venue know ahead of time how many to cater for. We’re believing this will be a formative time for us as a church as we further develop relational connections with our pioneering friends in Helsinki. We’re also inviting pioneering minded friends from further afield that may find the evening beneficial. 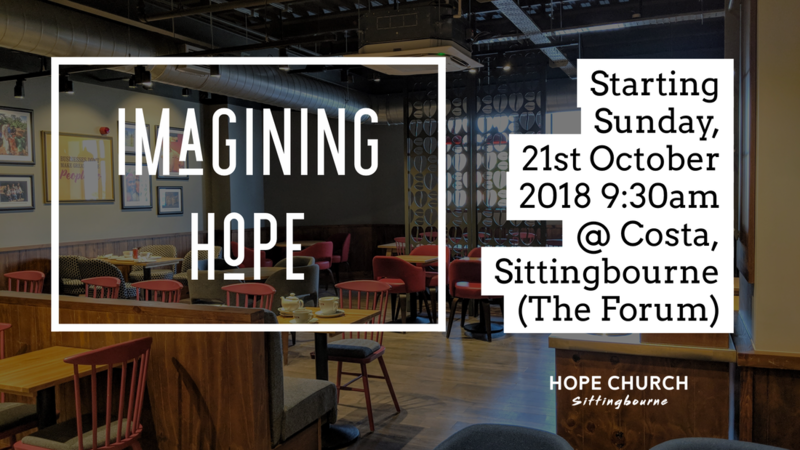 We’re really excited to announce that as of Sunday, 21st October Hope Church Sittingbourne will be meeting fortnightly at Costa Coffee in The Forum. We’ll be gathering together from 9:30am in the upstairs area and will likely finish around 11am each week. 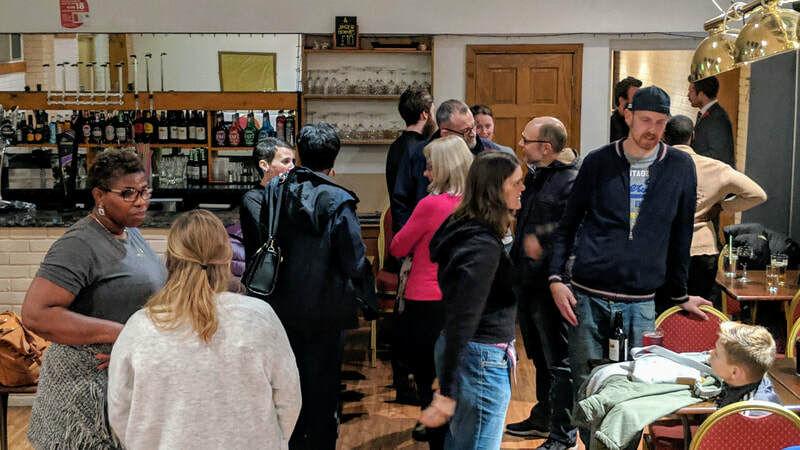 Theses Sunday morning gatherings aren’t a public launch, but more of a chance for us to continue to gather together as a group and journey a bit more along the road of exploring what Hope Church Sittingbourne might look like. We’ll be worshipping Jesus, drinking coffee (and maybe eating cake! 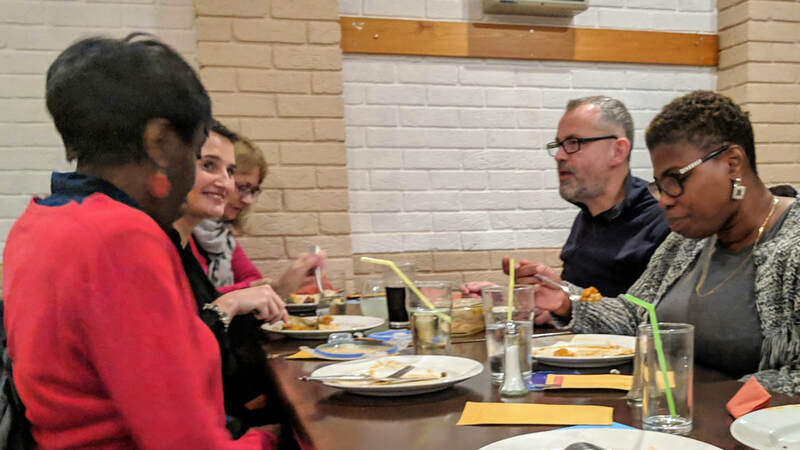 ), enjoying one another’s company, making new friends and looking at what the Bible has to say about New Testament church life and how that reality converges with ours in present day Sittingbourne. 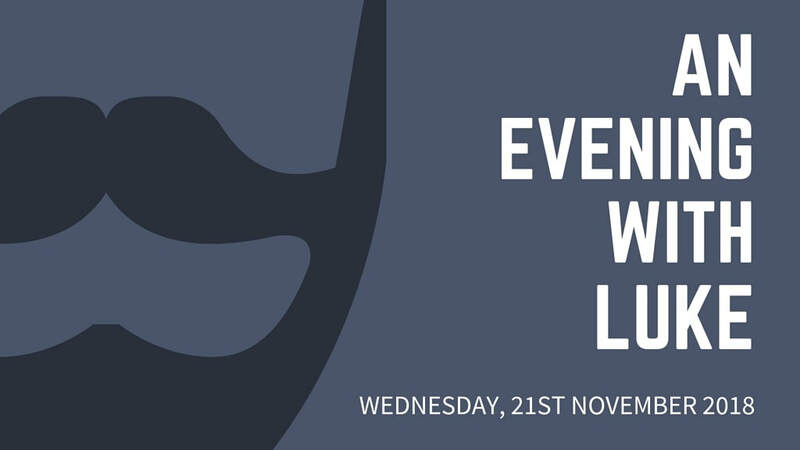 Everyone and anyone is welcome to come along and join us, but please be aware that this isn’t a typical church service - Rather a group of friends gathering together around Jesus and hearing together what He might be saying to us about the future. Parents in particular please be aware we don’t have any childrens work or activities in place, but kids (and parents!) of all ages are most welcome. The format of most of the mornings will be conversational in groups on tables with much participation encouraged. If you would like to come and pay us a visit feel free to pop along one Sunday or contact us via info@hopesittingbourne.org. 8pm until 9:30pm at The Abbey School, Faversham (ME13 8RZ). 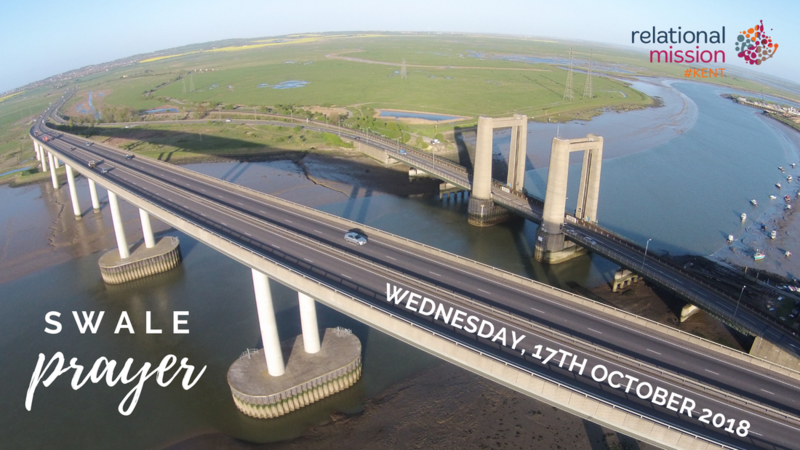 Our friends at Faversham Community Church will be hosting an evening of prayer for Swale at The Abbey School. We'll be joining with FCC and the Sheppey Gospel Plant to seek God together as we pray into each specific context and think beyond the local, discerning the heart of God for collaborative work across historic boundaries and borders. We will be meeting in Conference Room next to the Dining Room. This is in the block to the west (left) of the flag for the school on the map. Park in front of the school, not at the sports centre. Thank You. 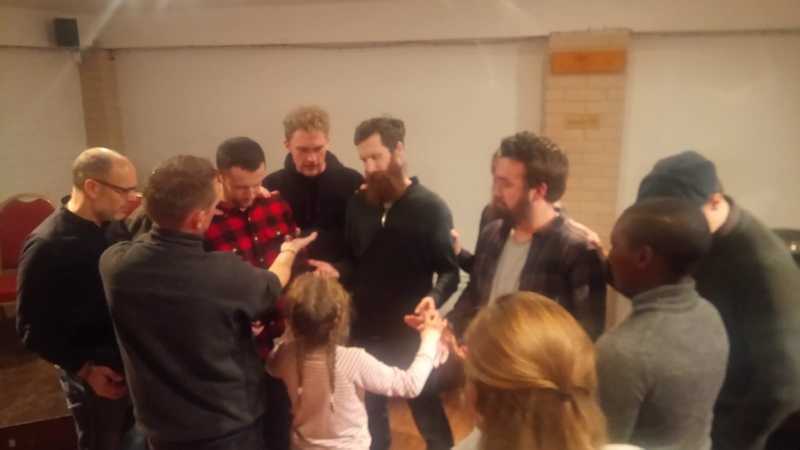 On 28th to 30th September 2018 we had 4 friends (2 married couples) attend the Relational Mission 'Called to Go' weekend hosted by Redeemer Colchester. Each couple went hoping to get something fresh from the weekend and they weren't disappointed. 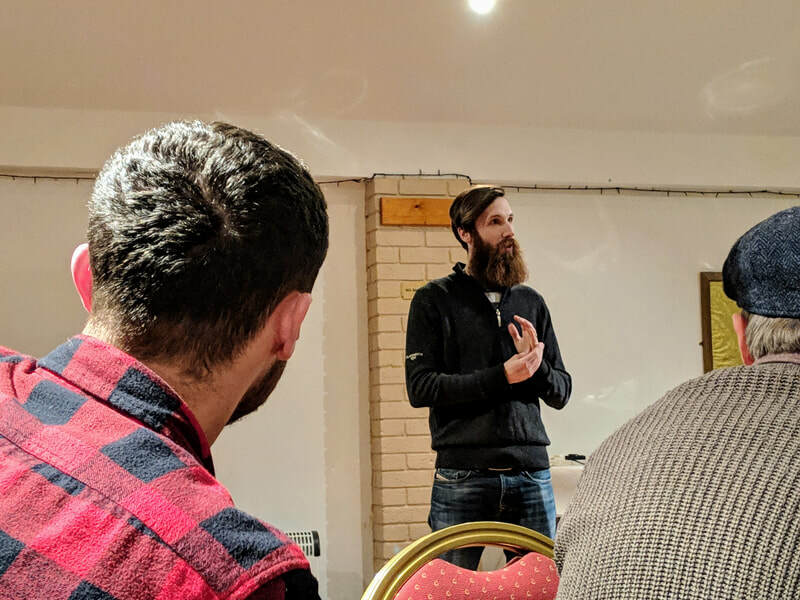 The opportunity to take 3 days out to get with other pioneers to discern the next steps of mission with teaching, times for fellowship and practical evangelistic outreach was an overwhelming blessing for those from Hope that attended. 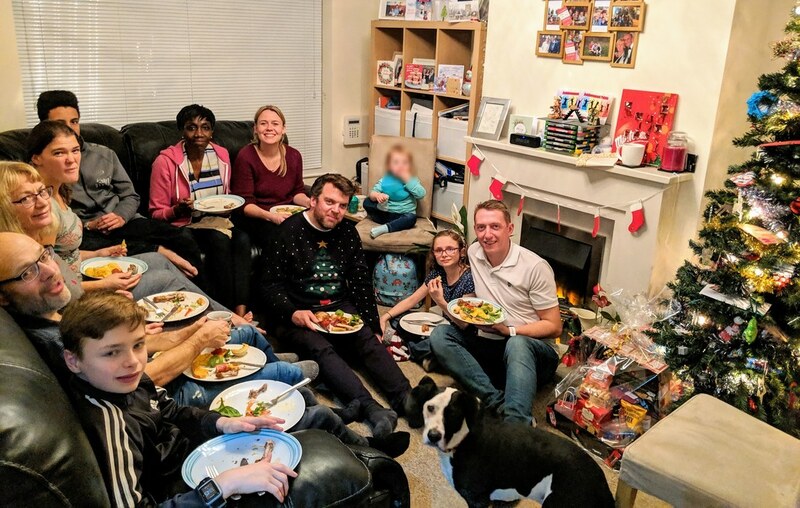 One couple in particular have connected with us at Hope Church Sittingbourne having had a historical connection with Newfrontiers from almost 8 years ago. 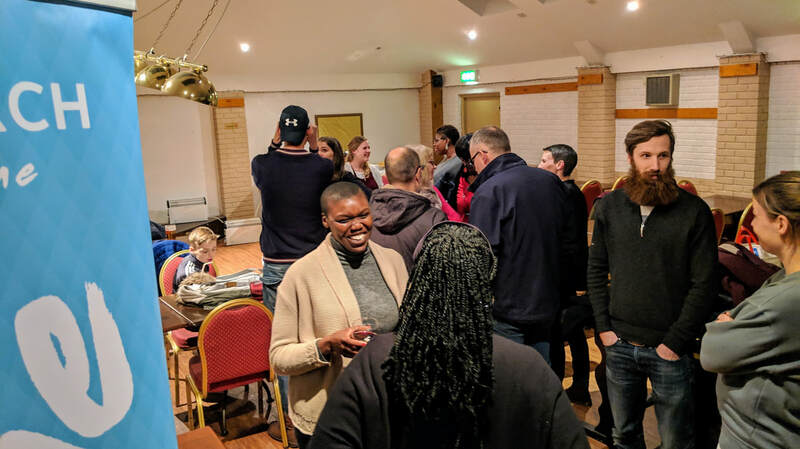 For them the opportunity to meet others from across Relational Mission and to get a gauge of how we do things as an apostolic family of churches was an affirmation for them of their call to be part of what God is doing here in Sittingbourne. 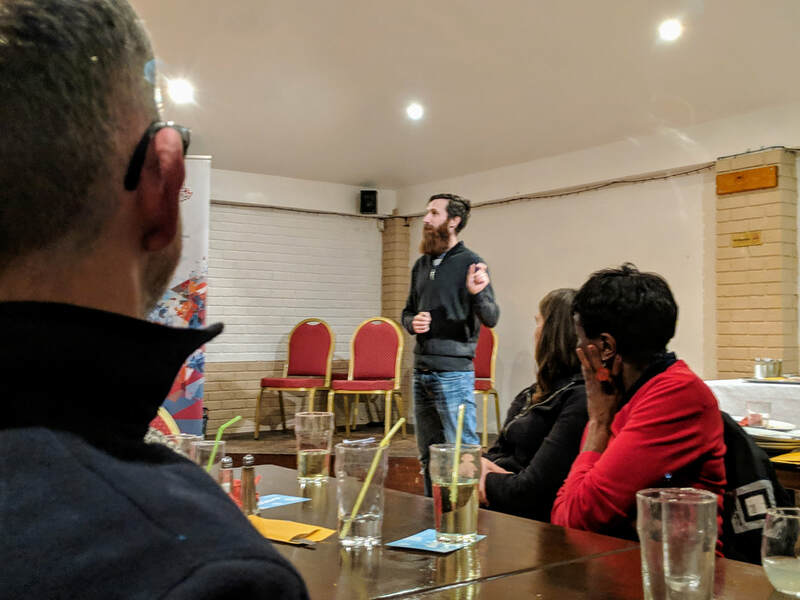 We're truly thankful for the Relational Mission Pioneer team for hosting events such as these and for setting the stage for God to speak to our friends about the nature of their involvement with Gods mission (and hopefully Hope Church Sittingbourne!!). 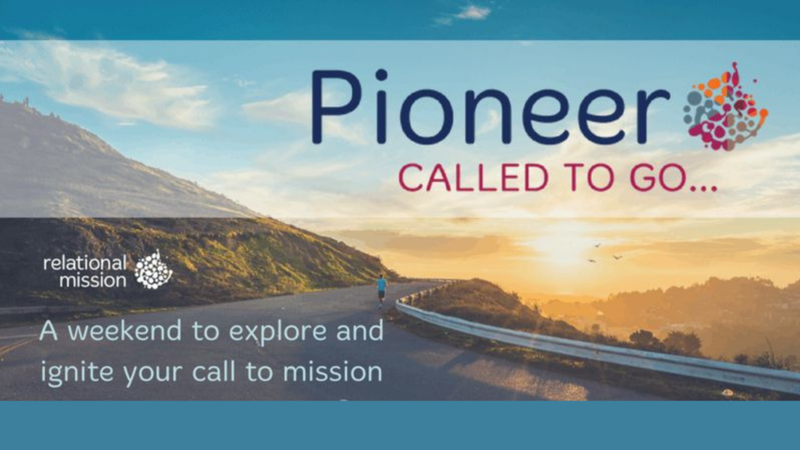 If you're a pioneer or exploring the call to potentially either join or establish a new Kingdom work either within the UK or to the nations then check out the Relational Mission Pioneer website.